“No one else can speak the words on your lips…“. That’s a line from Natasha Bedingfield’s song, “Unwritten“, and I feel it captures perfectly what being a speaker is all about; making a story personal enough for you to be the only one who is capable of telling it, and no one else. Nothing trumps being able to inspire people to pursue their dreams and make the most out of their lives! How many people live their lives on autopilot, just going through the motions while wanting something else entirely, not knowing how to take that first step? Maybe you recognize yourself in this example and want to take back control over your life in order to finally do the things that make your eyes sparkle? If so, I’d gladly help you with that! Because I’ve made a radical carreerswitch in order to make my dream of being a writer come true, I am an expert out of personal experience. 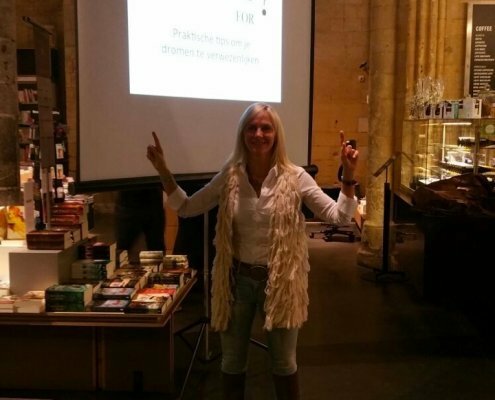 As such, I want to use my motivational speeches to share my journey, tips and advice with regard to how I’ve overcome my fears (yes, I also had them!) that kept me from moving toward my goal. And I’ll reveal which practical and financially riskless steps you can take on your way to your new future in order to (re)find passion, meaning and happiness in your life. I am registered at speaker agencies ZijSpreekt, Speakers Academy and Huibers Booking Agency (for further details, please see below). ‘Pascale takes you with her on her special journey, one that doesn’t happen in the outside world, but is a trip from the head to the heart. And as with every unforgettable adventure, she experiences excitement, big challenges, confusion, an abyss of fear and sorrow but also surprising insights, ideas and encounters that are extraordinarily beautiful. 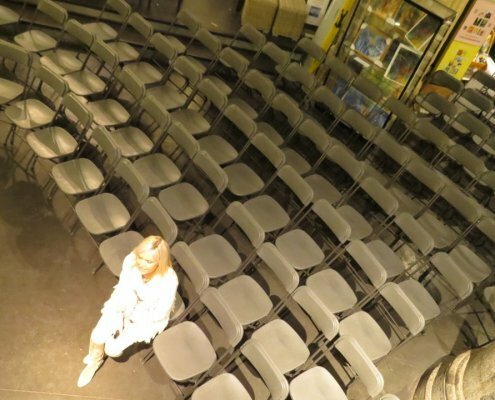 In her lecture she talks animatedly and with a healthy dose of self-deprecating humor about her search for pureness, connection and the true self she really is. About how a touching event rocks her life so hard, that her legal head becomes a beautiful spiritual heart. 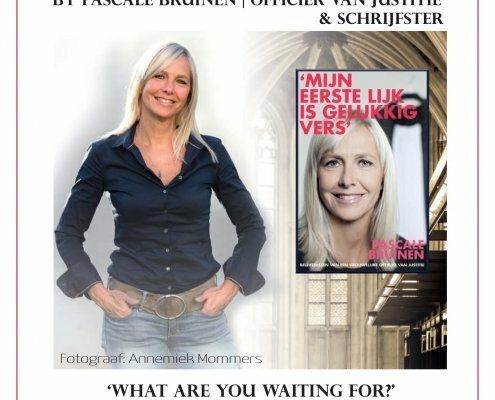 ‘Pascale Bruinen talks openly about how she made the switch from public prosecutor – who had to prove everything in order to be true – to spiritual writer – for whom everything is true until proven otherwise. A search for herself, meaning and Connection between people, nature and which part she plays therein. The story about the owl really touched me. Pascale shows that the story comes from her deepest self, there is room for emotion without becoming overbearing. That’s why she’s able to touch people deeply, without losing sight of the storyline. ‘On the 9th of January I attended, together with two colleagues of Forza Asset Management, a presentation of Pascale Bruinen. 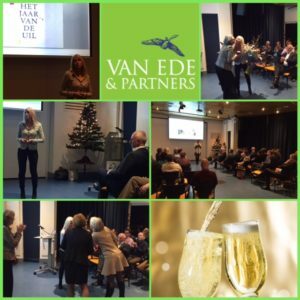 We were invited by Van Ede & Partners Eindhoven, who had asked Pascale to give a speech at their New Years event. 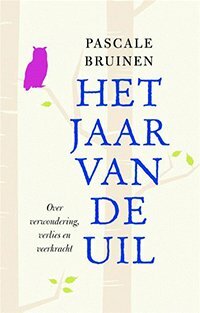 As loyal watcher of ‘Opsporing Verzocht’ (a tv-programme where one tries to find the people who committed serious crimes) I thought it was great that they had chosen a former public prosecutor and was very curious to hear the trilling stories of someone who has seen a lot of the criminal world. 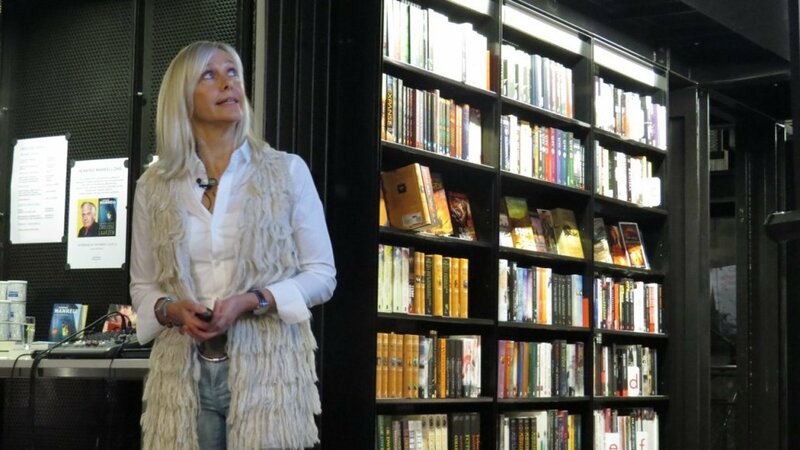 Somewhat disappointed I noticed that Pascale’s story soon took a turn in the sense that she talked mostly about her spiritual and emotional experiences during the search for a new meaning in her life. This disappointment soon changed to complete focus on her story. 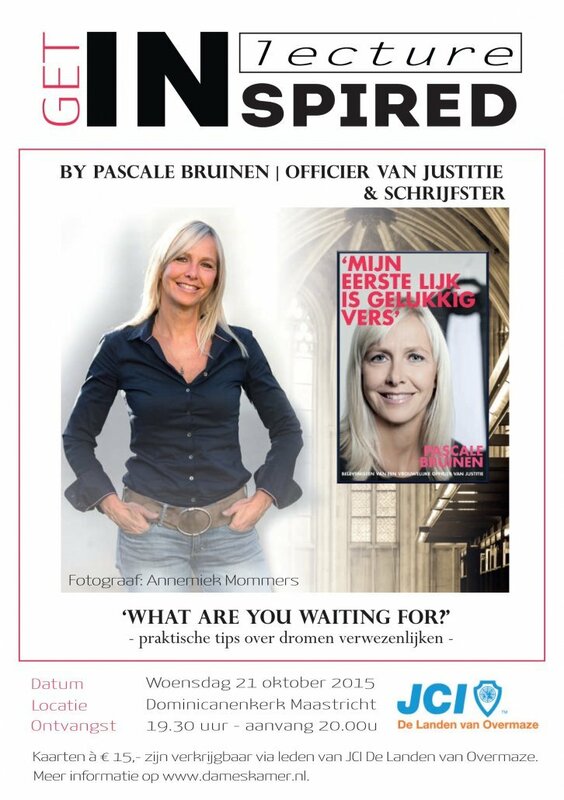 * 27 May 2016: “Het roer om: hoe ik van een strenge officier van justitie een kwetsbare schrijver werd” (“Changing course: how I went from being a tough public prosecutor to a vulnerable writer”), Vrouwen@Wurfeld in Maaseik, Belgium. 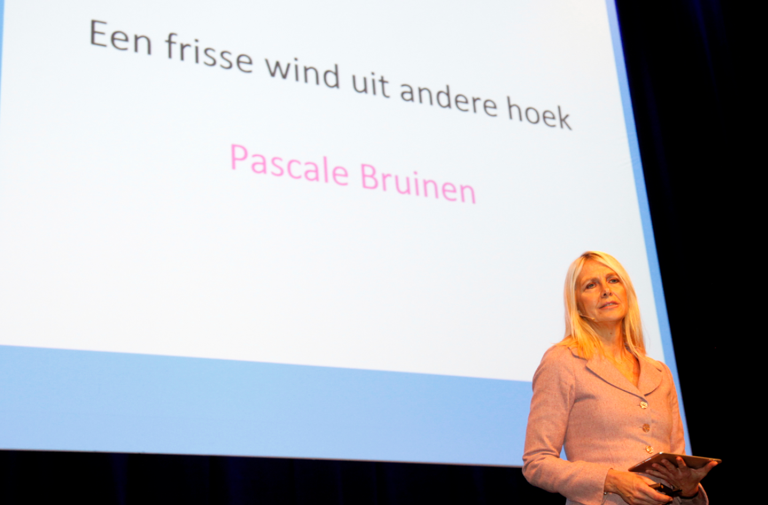 * 17 March 2016: “Een frisse wind uit andere hoek” (“A breath of fresh air from a different quarter”), a lecture for 600 care workers at the Planetree Conference in Nieuwegein. 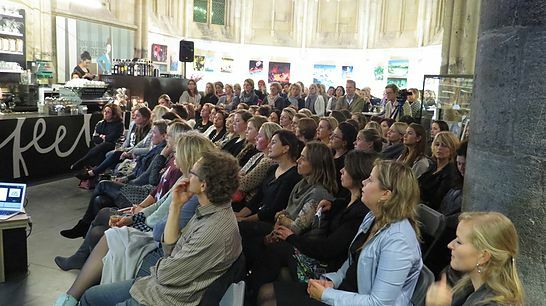 My presentation was about the importance of having the courage to embrace vulnerability, which I illustrated with examples drawn from my experiences as an injury lawyer, public prosecutor and author. * 27 January 2016: “On the other side of fear lies freedom; a true story about following your heart and making your dreams come true”, organised by Kiwanis Aruba, Oranjestad. “I thought it was a fascinating and topical subject. Well-presented and well-told. A theme that we all will have to deal with. How honest are you in the choices that you make? What obstacles do you make up instead of taking the bull by the horns and moving on to plan, do, check, act. I really learned a lot and will get to work. 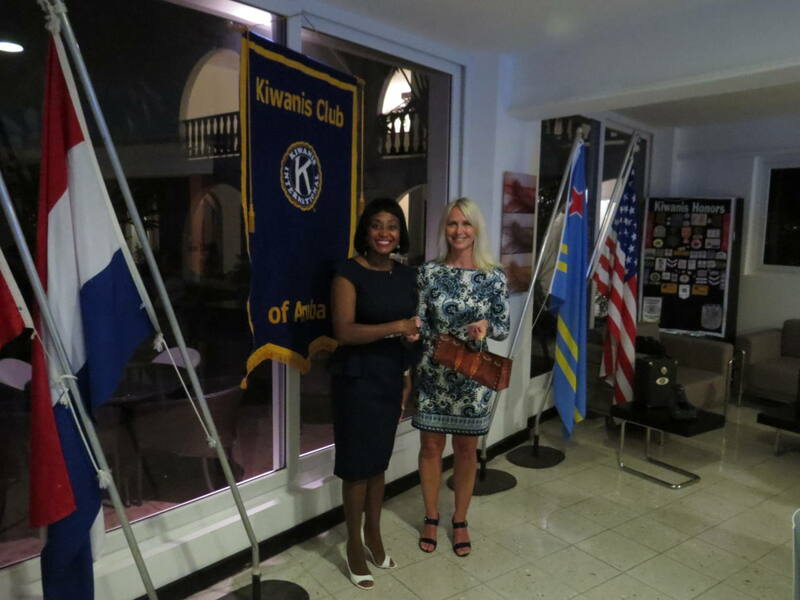 Thank you Pascale!” Marjory Clark, chairperson Kiwanis Aruba. * 21 October 2015: “Get Inspired!”- a lecture in Maastricht organised by the Junior Chamber de Landen van Overmaze, titled: “What are you waiting for? Practical tips for making your dreams come true”. 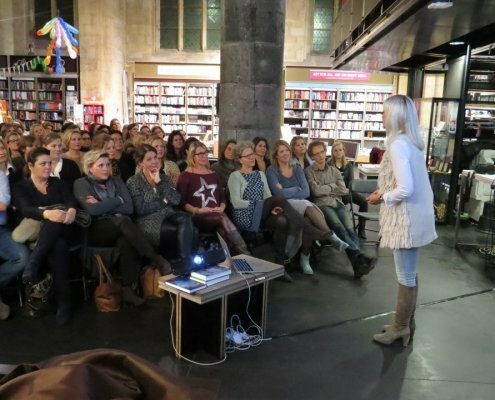 The subjects of my lectures, which I give in both Dutch and English, are about personal growth and changes of perspective. * Vulnerability = Strength. 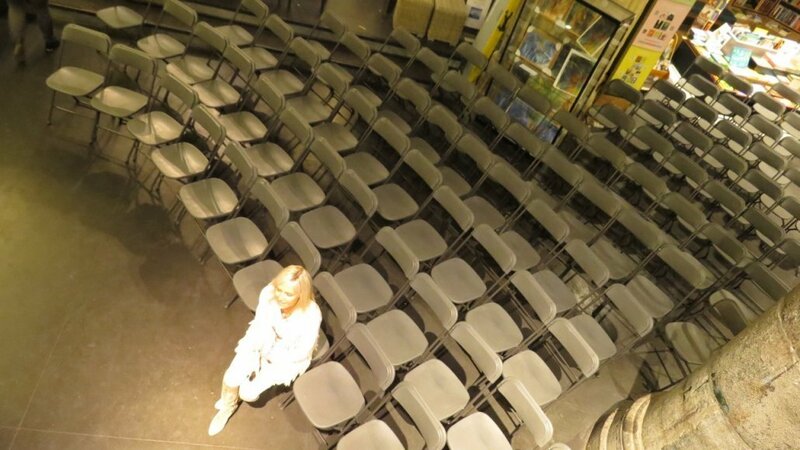 This lectures explains my gradual transition from an extremely private person to radical openness in terms of emotions and divulging personal matters. The added value is that the public learns how much this openness has brought me. This theme is intended to inspire people to show themselves the way they really are. * What are you waiting for? Practical tips for making your dreams come true. We all know them. People who would like to get everything out of their lives that they possibly can but lack the courage to do so. 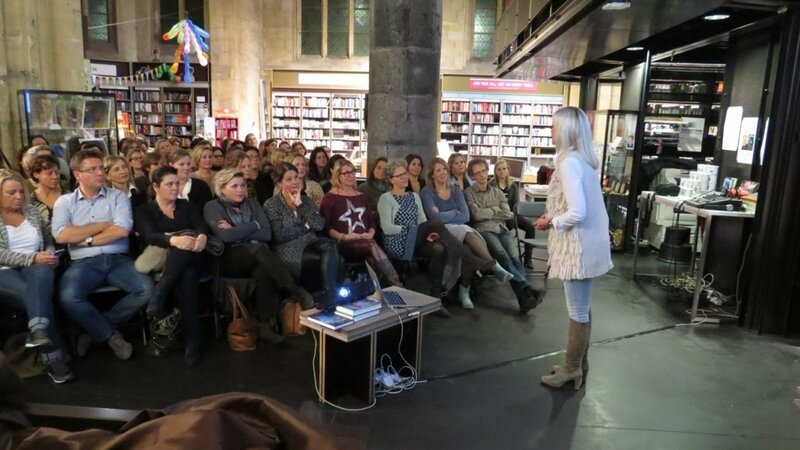 After changing my own life around on 1 January 2016, when I quit my job as public prosecutor so I could follow my heart as a writer and speaker, I, myself, am the best example of someone who has the courage to realise their dreams. 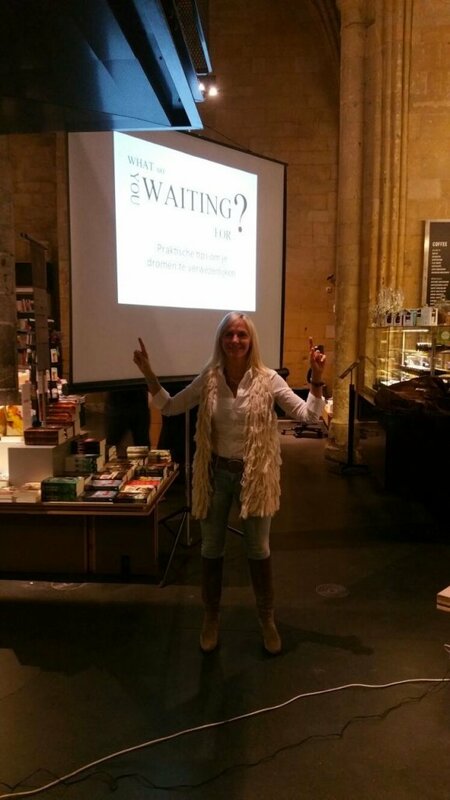 In this presentation I make short shrift with all the stories and excuses, and share my advice and tips on how you can finally take real action to make your dream come true. * The power of slashing or: how do I responsibly build a parallel career? Based on my own experiences – I have built my career as writer step by step over more than four years in addition to my regular job as public prosecutor – I hold a passionate plea for not doing just one and the same thing for your whole life, but rather to start slashing: combining completely different (paid or unpaid) jobs that do justice to all your various talents. Naturally, depending on the client’s concrete wishes, a lecture tailored to the specific requirements of the client is also possible. 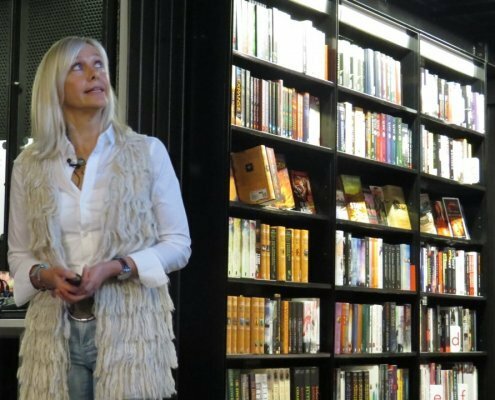 Huibers Booking Agency, contact person Marjolein Huibers, + 31(0)648 676 525, marjolein@huibersbookingagency.nl She’ll help and advise in finding the perfect speaker for every venue and is known for her personal approach and fast and reliable service.